A non-returnable deposit of £50 is required, the balance payable 6 weeks before the start of the holiday, plus a £50 security bond, which will be returned by bank transfer after inspection of the property ensures no damage, loss of items or additional cleaning is required. Please, can you let me know who would be coming? Looking for a holiday where you can take your Doggies? then bring them here, it's perfectly placed for the dog walk it's just beside you. We have a large corner end plot right next door to a dog walking lane, the lane goes right behind the caravan site goes through a field following the designated signposted coastal path. The views are stunning. The lane part is tarmac which is really handy on wet days, it then leads you onto a coastal path. Or take your furbabies onto the beach and meet lots of other doggies. The fully enclosed side & front decking will keep them safe, but they can still be on lookout duties! And we don't charge a penny for your beloved dogs. Enjoy your breakfast outside on the rattan dining furniture. Or if they prefer to lie on the cool of the grass we have a lovely corner patio grassy area as well, with pub style table and seating, where you can enjoy your barbecue. (Provided) The barbecue can't be used on the UPVC decking for obvious reasons. We also know that they love sitting beside you on the settee, well they are family, so all we ask is to bring throws to cover the furniture with, and towels by the door in case it is a wet day. The caravan has the seal of approval from our very own westies. 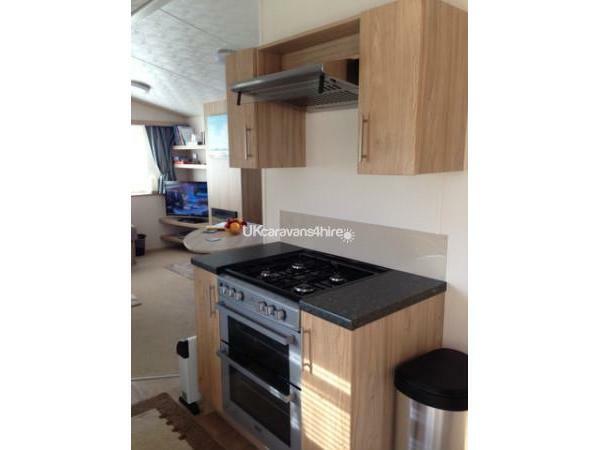 Large Comfortable Double glazed Caravan for hire on a HAVEN site at Doniford Bay Holiday Park. 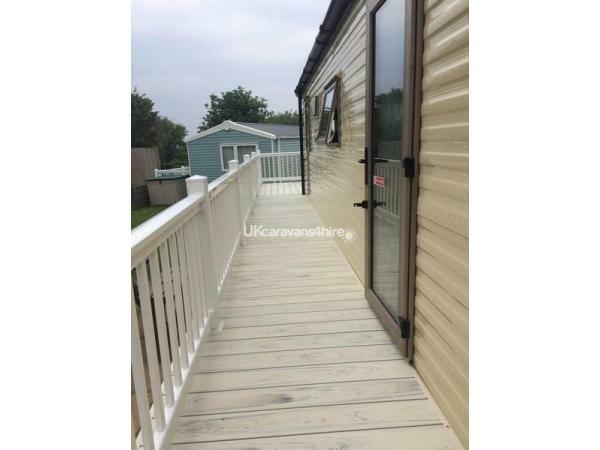 NEW Fully Enclosed Decking Side & Front. This lovely caravan is Real Home from Home, new pocket sprung mattresses replaced those that came with it. We also bought wider ones for the twin bedroom to aid a good night's sleep! In the lounge Large 37" LG Flat Screen TV with Freeview, and LG DVD player bring along your favourite DVDs or choose from our selection, plus a Dishwasher, after all, you deserve a break you're on holiday! If you have not used a dishwasher before it's very easy, instructions tell you how, and dishwasher tablets are provided. If you fancy going to bed and watching the TV or a DVD there is a 26" Flat-screen TV with DVD in the main bedroom, so no arguing over having to watch the football! 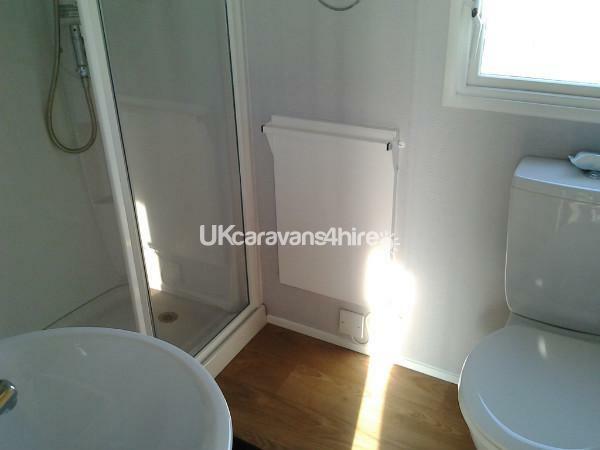 there is an en-suite toilet and sink, plus a hairdryer. The site is smaller than some Haven sites, which means you can let your youngsters go off on their own, and you don't have to be super fit to walk the distance to the entertainment and swimming complex. It has 24hr security patrol. Newly Refurbished Heated Indoor and outdoor Pool with slides, Plenty of Activities, (some require additional costs) Aqua jets, Fun Inflatables, swimming lessons, Kart hire, Climbing Wall, Zip wire, Soft play area, All Weather Multi-Sports Court, Archery, Amusement Arcade, Spar Shop where you can buy the usual groceries and freshly baked bread. Launderette, Cash-point, Restaurant, Takeaway Fish & Chip shop, Outside the complex there is Decking with seating where you can enjoy a coffee, ice cream or a beer or have a meal, and watch the children whilst they play and explore on their own. Family Entertainment in the Entertainment Lounge every Day & Night, Bingo, shows and Dancing the Night Away. On-Site there is Spar which bakes bread and cakes or enjoy a coffee from the Costa Express and sit on the outside seating. It has a good range of food, and essentials, as well as small gifts. The fish & chips on site are much improved and we found that last year it was very good. There is a launderette, you need to purchase coins from the Spar shop for it. The entertainment lounge is the place to go, the kids love it, or after 9 pm dance the night away. Dogs are allowed on Doniford beach, which is more for rock pooling or walking. The dogs love the stream of water that runs into the sea for a paddle, or if its sand you would like, take them to Blue Anchor beach, with free parking opposite. Dog-friendly café called the Driftwood. Dunster Castle (National Trust) and Dunster medieval village (Not National Trust) is well worth a visit. Minehead is about 25 mins drive away with shops, cafes, pubs. Steam Train. You can get the steam train from Doniford Halt railway station, about 10 mins walk from the site, and it takes you to Minehead. Dogs are allowed on the trains. Most pubs and some tea shops allow dogs if they don't we don't frequent there. The Black Dog at Minehead is good for children, it has a large play garden area, plus dogs are allowed inside and out. It does a very good Sunday carvery. Dogs are not allowed on the main beach from May to end Sept. Though they are allowed on the beach at the opposite end by Butlins, behind the golf course, there is parking, it has lovely sand dunes and is quite quiet. Additional Info: Activity FunPass is NOT included in the price, ring Haven & purchase them before you come and save yourself an additional £1 per person, or buy upon arrival at reception 01984-632423 The cost for Peak is £28.00 each for adults, and £13.50 each for children aged 4-15. Off-peak prices are £23.00 for adults and £11.50 for children aged 4-15 This will allow you to use the heated swimming pools, kids clubs and also evening entertainment. (There are some additional activities if you sign up for them for children that you have to pay for, example kayaking, swimming lessons, or archery, and lots more, they get booked up very quickly, so you'll need to book activities at reception as soon as possible upon arrival) The amusement arcade can be used without a pass during the day, but at night there is a chap on the door checking passes, as it leads to the entertainment venue. 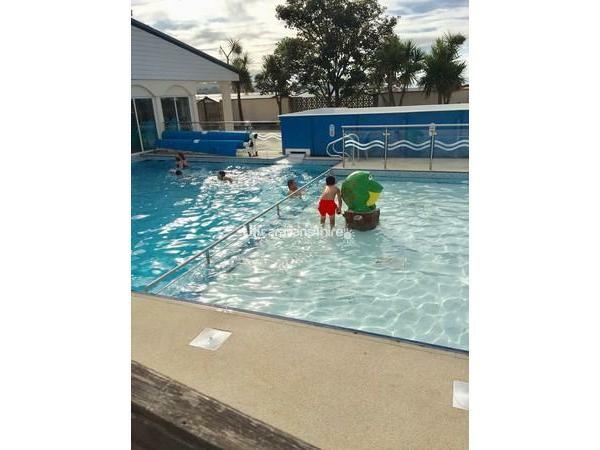 The restaurant can be used day and night without any passes, so unless you want to go to see entertainment in the evenings, you only need children's passes for swimming pool etc. Thank you very much, it was a pleasure to have you. Hope to welcome you back again soon. Thank you very much for this lovely review. We are so happy you had an enjoyable time, and we hope to welcome you back again. Thank you for your year four review. Very unfortunate that our new cleaners, that give 100% guarantee didn't come up to claims. Though nothing major, annoying I know. We absolutely loved our holiday. The caravan was perfect for our needs. Really spacious master bedroom with a very comfortable bed. Sitting on the terrace was a delightful experience with green hills behind us and a fabulous view of the sea to the front. Very comfortable outdoor seating and dining furniture. 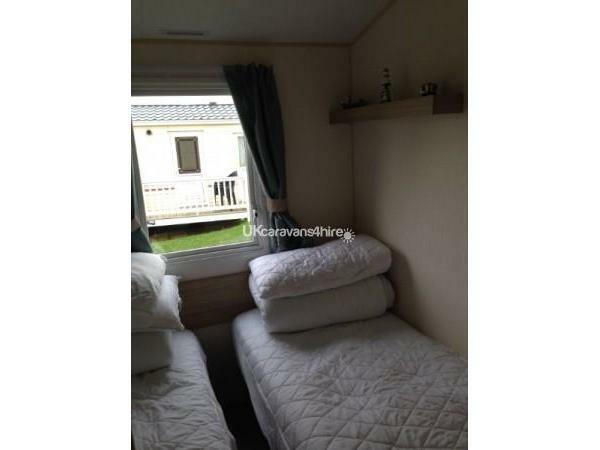 The owners keep their caravan in immaculate condition and are extremely kind, friendly and helpful. Communication was excellent. We were really sad to leave and will definitely be returning. Thank you so much, and it's great you still love coming back. Thank you for your review, and so please you had an enjoyable time. Thank you Vincent for the kind review, I am so pleased you had an enjoyable time. 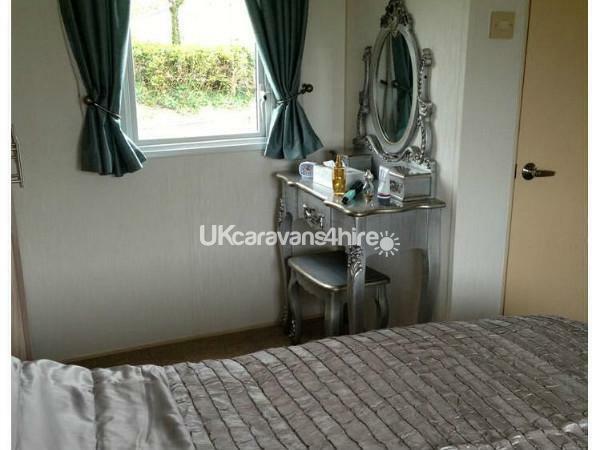 We saw this Caravan via this site and decided to book a family holiday away with our two boys. Elaine was nothing but helpful via text before, during and after the trip. I had the added bonus of knowing the area from my own childhood and teen year holidays with my own parents. The Fishers keep the accomidation in top condition and we could not fault it at all. The site had all we needed to keep us going whilst we were on site. We can highly suggest you consider your stay here and you won't regret it. We look forward to staying with you again. Must apologise that I have only just logged on and seen this review, it's very kind of you thank you. We hope to see you back again. Thank you for the lovely feedback, look forward to welcoming you back.